Mother Mary of St. Peter (Marie Adèle Garnier) was born in 1838 in Burgundy France, where she lived with her family - father, three sisters and one brother. For many years she taught as a governess and was greatly loved and esteemed by both parents and children. As her canonisation cause (see here for details) has been opened by the Vatican in 2016, Marie Adèle Garnier has now also been officially given the title Servant of God. From her youth she felt deeply the love of Christ touching her heart, drawing her to surrender herself totally to him, especially through the Eucharistic Sacrifice. Holy Mass was the sun of her life. Hence her devotion to the Eucharistic Christ became the centre of her spiritual life. Marie Adèle loved Christ with such ardent love that she was drawn to establish Perpetual Adoration of the Blessed Sacrament in order to express fully her desire to offer the Sacred Heart of Jesus an unceasing homage of love and reparation. Thus, the Eucharist, the Sacrament and Sacrifice of the love of Christ, and the Sacred Heart, symbol of the love human and divine of Christ for his Father and for all humanity, could never be separated in the soul of Marie Adèle. Hence Marie Adèle sought to live this Eucharistic life as a solitary at Montmartre in Paris. Her health failed and she was obliged to abandon this way of life. Several years later the Sacred Heart of Jesus called her to establish a religious family consecrated to the worship and praise of the Holy Trinity through liturgical prayer and Eucharistic adoration in the contemplative life. She founded her Congregation - the Adorers of the Sacred Heart of Jesus of Montmartre, in 1898 at Montmartre, Paris, with the cordial approbation of Cardinal Richard, Archbishop of Paris. Mother Marie Adèle Garnier established this form of contemplative life within the monastic tradition of the Church under the Rule of St. Benedict. In 1901 the young community fled to England on account of the laws of France against religious Orders. The Foundress settled her new community at Tyburn in London, at the famous site of the martyrdom of more than 100 Catholic Reformation Martyrs. This monastery is now the Mother House of her Congregation which has monasteries in England, Scotland, Ireland, Australia, New Zealand, Peru, Ecuador, Colombia, Italy and France. 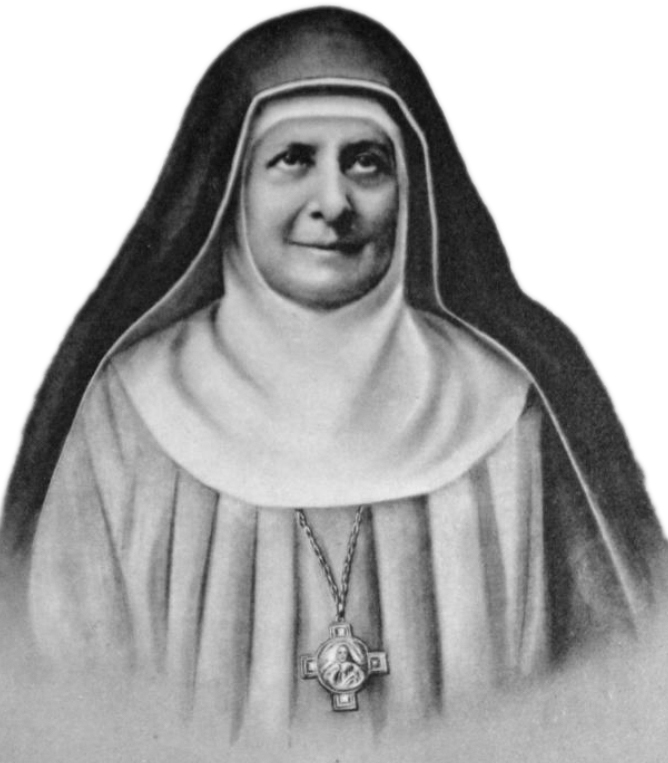 Mother Marie Adèle Garnier died at Tyburn in the year 1924 renowned for holiness and virtue. She is honoured and remembered especially for her heroic love of God and neighbour, her spirit of prayer, divine contemplation, rich mystical and spiritual doctrine, humility, obedience, patience, simplicity & purity of heart, and above all for her spirit of total "self-abandon" to the Holy Will of God, which she declared to be her unique good. The Servant of God, Mother Marie Adele Garnier is famed for favours regarding babies, families, property, financial matters, priests and spiritual needs. If you receive, as a response to your prayer. any material or spiritual favour through the intercession of Mother Marie Adèle Garnier (Mother Mary of St Peter), kindly inform any of the monasteries of her Congregation.